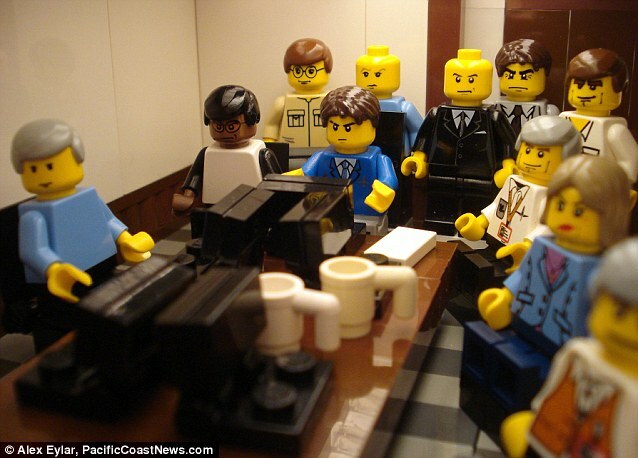 The Daily Mail republished an article on lego depictions of key media images from bin Laden's death under the headline, Bricking It. as the Seal team raid unfolded in real time. 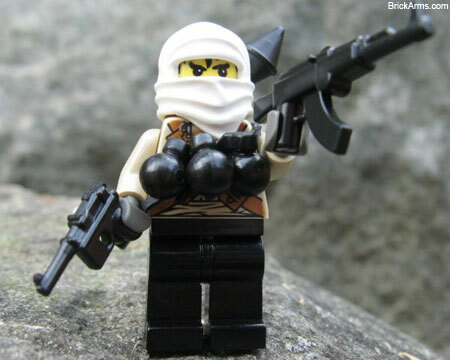 Compare the tone of the article, light-hearted and amused, with the outrage from anti-extremist groups in 2008 when the company BrickArms produced a figure called "Mr White -bandit" that some said resembled an Islamic terrorist or even, Osama bin Laden. perpetrators of the Mumbai attacks. on the Eastern Front. It's lego, after all. Bin Laden becomes much more iconic in the Western consciousness after his death. He becomes subsumed into popular culture and we accomodate him into our collective psyche. Consider, too, Osama bin Laden t-shirts: exactly the same scenario plays out. During his life, a t-shirt sporting his image enraged Nike since it incorporated the Swoosh logo. This was even before 9.11. Since his death, American manufacturers have cashed in on his demise, one seller boasting of having made 120, 000 dollars in two days. Naomi Klein will testify - the West has an ability to market and capitalise on images and themes and then consume it in quantities that generate massive profits for the companies involved. Osama bin Laden was probably the financial backer that enabled 9.11. At KingsofWar they already observed that he could become an iconic image like the picture of Che that adorns t-shirts. He could become like Hitler, an object of fascination, and a historical relic about which hundreds of books are written. What the West does with him now will be fascinating. He's definetely good to make fun of - see also bin-laden-game.com (hope it's ok to post this here)! It's just so much saner to see him as a madman, not a monster.